“Kratom Stories” is a weekly profile on KratomScience.com of those who use kratom to get through pain, disease, or drug addiction. DM us on Twitter @kratomscience or email Brian at [email protected] if you would like to tell your story. Calista lives in a battleground state. On Monday, October 1st, the Ohio Board of Pharmacy recommended that kratom, as well as CBD, be classified as a Schedule I drug, as illegal as heroin and cocaine. 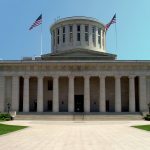 This prompted a call-to-action from the American Kratom Association, urging citizens from Ohio and elsewhere to email the Ohio Board of Pharmacy during an ongoing comment period, which ends Thursday, October 18. According to the National Institute on Drug Abuse, opiate-related overdose deaths have skyrocketed in Ohio since 2010. In 2015, Ohio doctors wrote 85 opiate prescriptions per 100 citizens statewide. The national average is insanely high enough, at 70 opiate prescriptions per 100 citizens. In 2016, there were 3,613 opioid-related overdose deaths­­­ in Ohio—a rate of 32.9 deaths per 100,000 persons and more than double the national rate of 13.3 deaths per 100,000. Since 2010, the rate has tripled from 10 deaths per 100,000. In the same period, the number of heroin-related deaths increased from 355 to 1,478 deaths, and deaths related to synthetic opioids rose from 175 to 2,296 deaths. Calista was one of the many whose long road of heroin addiction and recovery began with a legal prescription from her doctor. She went from pills to heroin, then was treated for heroin addiction with Suboxone. Suboxone contains buprenorphine which is an opiate agonist, and naloxone, an opiate antagonist that blocks the pain relief and the well-being effects. However, Suboxone itself is an addictive drug, and is sold in Ohio through cash-only “pill mills”, a business model that contributed to the modern opiate addiction epidemic in the first place. KratomScience.com: Were you prescribed opiates before you started using heroin? Calista: Yes. I had gotten prescribed them when I got my wisdom teeth out. It got bad after that. I also then was prescribed tramadol which is just as bad….the withdrawal is horrible. It started me back on heroin because they just cut me off. My downfall was trying the opiates. It all went down hill from there. I was immediately mentally addicted. It numbed my (mental) pain and made me feel “normal” for a little while at least. KS: Why did you start using kratom and how long have you been using it? Calista: I was looking for a natural way to get off Suboxone, because even though I was clean from heroin it was just another addiction to me. Stuck going to doctors, paying a lot of money, worrying if I was going to run out and go through bad withdrawals. Also a lot of adverse side effects from Suboxone, and my doctor basically wanted me on it forever. So I did a lot of research and everything pointed to Kratom to help me get off of it because I knew I could not do it cold turkey. In 17 years I never could cold-turkey heroin or Suboxone. I joined the Kratom recovery group in August 2017 and have been taking it ever since. I used it to taper and then jumped from subs, Oct 26 2017. On top of getting off heroin, and staying off, I have gotten off 6 different psych meds. 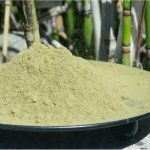 KS: What kratom strains, dosage, and methods of preparation do you use? Calista: Only side effect I’ve had is if I go 8+ hours without dosing I get unmotivated and my pain comes back. But that was my normal before starting kratom. KS: You are from Ohio, where the Ohio Board of Pharmacy recommended a ban on kratom. 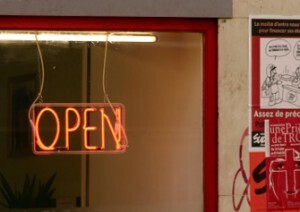 What will your life be like if you don’t have access to kratom? Calista: I am scared to think about it honestly. I never thought I’d get away from the hell of heroin addiction and I do not want to go back on 6 different meds just to feel ok. My quality of life would go down extremely. I’m diagnosed with depression, anxiety, PTSD and I have bad night terrors and panic attacks. My life has been 100% better since Kratom was introduced into my life. I have motivation, I’m a great mom, I volunteer to help others…..I’m just an all around better person today. I’m not a drain on this society anymore. 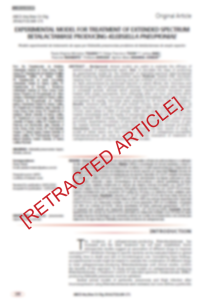 KS: The Ohio Substance Abuse Monitoring Network recently released a report that said this about kratom: It “produces a heroin-like high”, “the drug looks similar to brown powdered heroin” and “the most common route of administration for kratom is intravenous injection (aka ‘shooting’)” — Is any of this anywhere close to the truth? Calista: Kratom does not give you anything like a heroin-like high at all. It is a sense of well-being and motivation. It does not numb your whole body and mind like heroin. I did heroin for 17 years and can tell you it looks nothing like heroin and does not taste anything like heroin. Sorry, I had to laugh.. hearing of someone saying that you could shoot kratom is crazy. I don’t know how anybody would or why they would even try to shoot it. 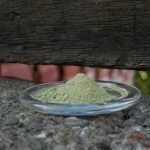 In a year of being in the Kratom Community I have never heard of anyone shooting it, ever. And I know many recovering addicts in this community. If anybody would have been doing that, it would have been the addicts, and I’ve never heard of it. KS: What would you say to someone who thinks kratom is as dangerous as heroin and should be banned? Calista: I would tell them to look at the millions of people that Kratom has helped (like me) and the actual science behind kratom that will show you the truth it is save so many lives where as heroin has destroyed millions and millions. If it is banned, many more lives will be destroyed and our safe alternative, our way to be free of the pain, will be gone. You are AMAZING! I wasn’t addicted to heroin, but opiate pain meds for 20+ years..and the withdrawls were bad with that, I can’t imagine from heroin. You ARE a warrior as someone else said. Kratom works, it’s just as simple as that. No side effects(at least with me) and I really don’t think you can shoot it..that made me giggle. So, I congratulate you for being as strong as you are…and soldier on! I am so proud of Calista. 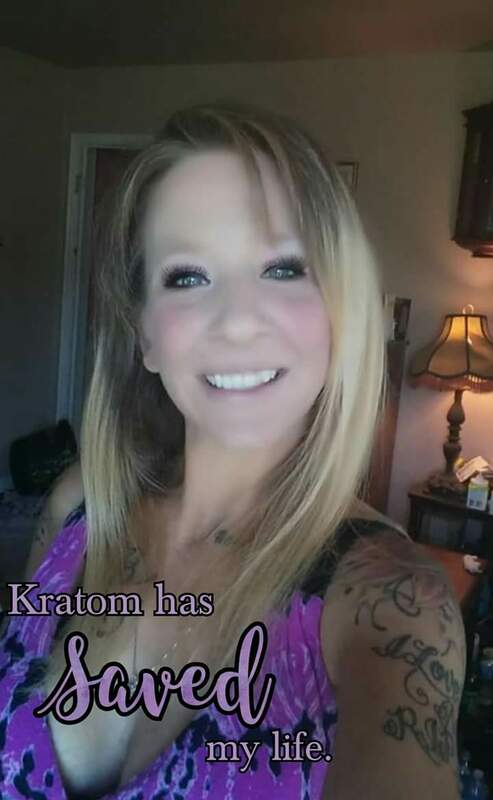 She chose a path for permanent recovery and that path is kratom. Look how far you have come Calista, what a great mom you are, how happy you are now and you are a great friend and supporter to others. I really leaned on you for guidance when I was weaning from Oxycodone. Without kratom I wouldn’t even be alive today. I thank God each day now for providing this wonderful plant that helps so many people each and every day. And I thank Calista and others like her who advocate tirelessly for the good of those whose very lives may well be in jeopardy except for kratom. I can’t imagine the large numbers of people who have their lives back. Thank you kratom. Amazing article Calista❤️ I couldn’t have said it better myself!! I didn’t know your in Ohio!!! I pray they don’t ban this or so many(including you) will pay the ultimate price!! A life of misery and pain for big pharmas gain!! We can’t let them win this time, or ever!!! Form another kratom advocate from Ohio. Please, everyone, take the time to comment on the Ohio Pharmacy Board page and explain how kratom works for you and millions, without addiction, unlike suboxone and methadone. And that “Ohio Substance Abuse Monitoring Group” seems to have gone out of business, as well they should promulgating lies like ” people shooting kratom”. Since it’s a plant substance and not water soluble it’s unlikely it could even be drawn up into a syringe, ffs. At nearly 70 years old my body gives me many reasons to use kratom. I’ve also gone off anti-depressants by adopting natural, plant-based remedies. Peace. Great article, honest and straight to the truth. I just hope Ohio won’t ban it, otherwise there’ll be a slew of people switching to deadly heroin, and that will not be pretty. Mark my words!